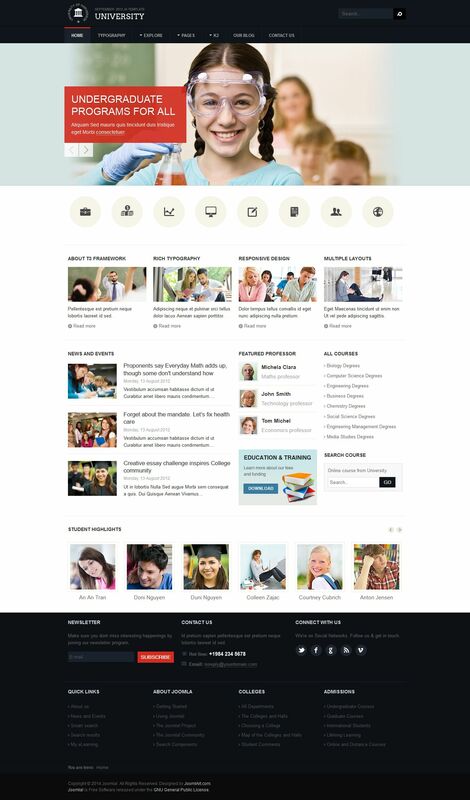 The bright tones produced a lot of templates, including JA University , which was created by a team of skillful JoomlArt. In the design consists of eight styles through which you can easily optimize your site for any user. Styles can be added due to popular materials manager K2. At the same time this part gives the site some versatility, so this template can be used to create sites in different directions. It works on the basis of modern JAT3 version 2 Framework, which allows pages load faster, to get along with all mobile devices and support all browsers.